IODP has embarked on a campaign to investigate Antarctica, its ice sheets, and the Southern Ocean by coring and logging offshore shelf and deep water marine sediments. The first expedition, Ross Sea drilling with the JOIDES Resolution (Expedition 374), was completed in March 2018, and Amundsen Sea (Expedition 379) and Iceberg Alley (Expedition 382) will sail in early 2019. The primary scientific motivation for the new drilling expeditions is to investigate the stability of the Antarctic ice sheets under past warm environments to provide analog scenarios for ice retreat and consequent sea level rise under future climate warming. Ice and environment interpretations of Antarctic sediment cores are also crucial to improve climate and ice sheet models. To help address this, we are hosting a one week Antarctic School to provide an introduction to Antarctic paleoclimate research using sediment/rock cores. The week-long school will include lectures and exercises targeted to a daily theme and hands-on activities using Antarctic sediment cores from the IODP Gulf Coast Repository (GCR) and the Oregon State University Marine and Geology Repository (OSU-MGR). The daily themes will include key intervals in Antarctica’s climate history, shelf and deep-water environments, and current “hot topic” research areas in Antarctic science. The hands-on activities will provide training for core description, measurement, and interpretation. The Antarctic School will take place from Sunday, 9 June through Friday, 14 June and will be held at the IODP Gulf Coast Repository, Texas A&M University in College Station, TX. Texas A&M University at College Station hosts the IODP Gulf Coast Repository, home to the IODP Antarctic and Southern Ocean core collection, which makes College Station the ideal location for the Antarctic school. The JOIDES Resolution (JR) Science Operator is also based here, providing a huge knowledge base, access to equipment and software equivalent to what is on the JR, and free meeting rooms. College Station is quite centrally located in the U.S., and is one of the more reasonably priced places in the U.S. There are several direct flights daily from Dallas and Houston, as well as shuttle transport between College Station and Houston/Austin airports. The school will kick-off with an icebreaker on Sunday evening, 9 June, and conclude with group presentations and final lectures on Friday, 14 June. We will invite ~20 early career scientists (including graduate students and post-docs) to participate in the core school. This will include ~10 US-based scientists and ~10 international scientists, with some priority given to scientists working on core collected during recent Antarctic expeditions but who did not participate on those expeditions. Given the diversity of potential topics covered at the school, we envisage participants with a variety of specialties, including (but not limited to) sedimentology, paleontology, geochemistry, paleomagnetism, physical properties, downhole logging, and climate/ice sheet modeling. 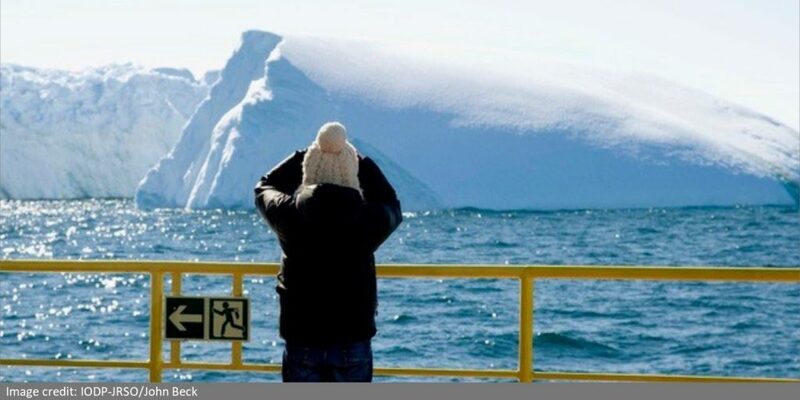 Travel support is available from US Science Support Program (USSSP) for U.S.-based participants and the Past Antarctic Ice Sheet Dynamics (PAIS) program for international participants. This workshop is funded by PAIS and USSSP, so we welcome applications from scientists in IODP- and Scientific Committee on Antarctic Research (SCAR)-member countries. We particularly encourage applications from students and early career scientists who are conducting research on Antarctic sediment cores collected during recent expeditions but who did not participate in the expedition directly. The deadline to apply is 27 February 2019. Participants will be selected by the organizing committee and PAIS co-chairs using the applicants’ statement of interest and letter of support (when applicable). Our goal is to invite a diverse participant group that includes a mix of graduate students and post-doctoral scholars who are conducting research spread amongst recent IODP and non-IODP Antarctic research cruises and expeditions, and who come from a variety of IODP and SCAR member countries.